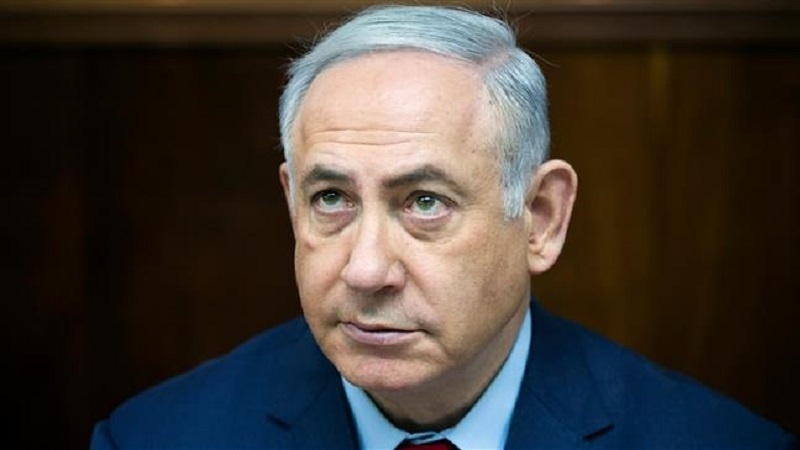 A Zionist regime’s minister says Prime Minister Benjamin Netanyahu will have to resign or face being dropped by members of his coalition if he is indicted over corruption charges. Back in February, police recommended the prime minister be indicted on two cases of corruption, while a third probe concerning favors sought from the head of the regime’s largest telecommunications firms is ongoing. The Israeli attorney general is due to rule in the coming months on whether to pursue the indictment. Netanyahu does not have to resign even if indicted but Kahlon, who is also the leader of the center-right Kulanu Party, said his position would become untenable. Kahlon’s remarks came as Netanyahu’s six-party coalition narrowly survived a crisis over military service for ultra-Orthodox Jews earlier this week as different members of the coalition agreed on a compromise allowing the 2019 budget to be passed. The threatening rift among the coalition parties could potentially hurl the regime to the snap ballots more than a year before its scheduled date, as the spiritual leaders of the major ultra-Orthodox political factions threatened to vote down the budget unless the legislation, which is bitterly opposed by Minister of Military Affairs Avigdor Lieberman, is approved.